Here’s everything you need to know – from A to Z – about SYSPRO and our award-winning ERP solution. SYSPRO provides an end-to-end solution for make-to-stock manufacturers that helps companies streamline forecast-to-invoice processes while improving operational planning and financial management. 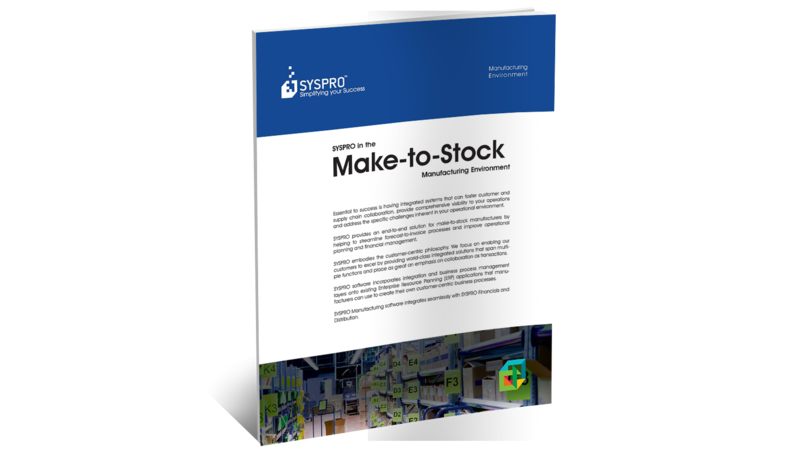 Download our SYSPRO ERP for Make to Stock Brochure to learn more.